The AKCP line of water leak detection sensors adds scalable remote liquid detection alerting in the case of potentially disastrous situations in enterprise data centers and server rooms. Knowing the moment a water leak happens in your data center is critical. Preventing data center downtime requires complete visibility, and advanced alerting to threats. In the event, CRAC drainage overflows, or a water pipe burst near your IT infrastructure your team will know immediately with SMS & email alerts. 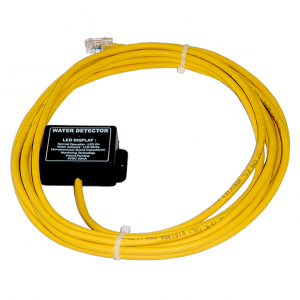 There are two types of water leak detection sensors. Spot water sensors are designed to be placed directly where water leaks are most likely to occur, near sensitive network equipment or wires, or in low lying areas where it is possible for water to pool. 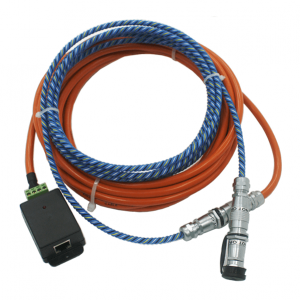 Rope water sensors, on the other hand, provide a parameter of detection and have been specifically designed with data centers and server rooms in mind to be installed underneath raised flooring, around sensitive equipment or parameter of server rooms to provide a scalable sensor network for water leak detection monitoring. Ready to use out of the box with simple plug-and-play sensor functionality when connected to a base unit they are immediately recognized and can be configured. These water leak detection sensors are compatible with all sensorProbe, sensorProbe+ and securityProbe lines of base units. 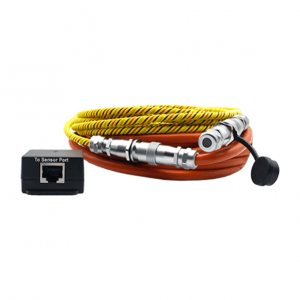 Once connected to a base unit, AKCP sensors can also be integrated with third-party monitoring tools that support SNMP traps for data center water leak detection with Nagios, Zabbix and Netmon Network Monitoring Software. AKCP sensors can also be used for water leak detection using MODBUS/CANBUS for SCADA systems.